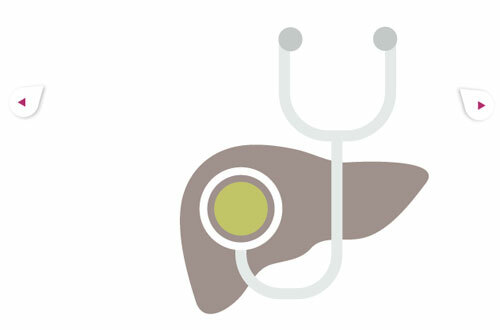 The UK needs to introduce universal liver health screening in primary care in order to address the ‘”ticking time bomb” of liver disease, according to a health charity. The British Liver Trust launched its Love Your Liver campaign today calling for the Government to support a national liver health prevention scheme that it claims can save more than one million lives. As part of the campaign launch event at the House of Commons the British Liver Trust will screen MPs for liver disease, which the charity describes as a “ticking time bomb the government cannot afford to ignore” as the number of liver-related deaths in the UK has increased by 400% in the last 40 years. The problem has been exacerbated by the ongoing obesity ‘epidemic’, excessive daily alcohol consumption, unhealthy diets and inactive lifestyle choices. MPs at the launch event include Labour’s Luciana Berger, shadow minister for public health, who said: “As an MP in the North West, one of the areas hardest hit by liver damage, I have seen the devastating effects liver disease causes. The introduction of an early screening programme will have financial benefits as well as social benefits, according to the British Liver Trust, which claims that investing in the area could save the NHS as much as £600m by reducing the burden of advanced liver disease. However, if nothing is done the situation is likely to worsen, with the Trust predicting costs to treat advanced liver damage to escalate to over £1bn per year within the next 10 years. In addition to early liver screening and testing for people at risk of liver disease the campaign is also calling for greater awareness and education for the public. This will involve GPs and other staff in primary healthcare speaking to patients about risk factors such as alcohol consumption, diet and exercise and the risk of viral hepatitis. Andrew Langford, chief executive of the British Liver Trust, also addressed the public directly, recommend that people take two to three days off alcohol per week, take regular exercise and eat healthily. “Most people think that a glass of wine or pint of beer a night or a couple of takeaways a week won’t do much harm – when in fact drinking even just a bit too much alcohol every day and eating unhealthy food are major contributing factors for liver damage,” said Langford. As part of the campaign the British Liver Trust has launched an online screener available on their website to help people understand if they are in danger of liver damage.